This guide for the competitive player is less about the hardware and more about the lifestyle. 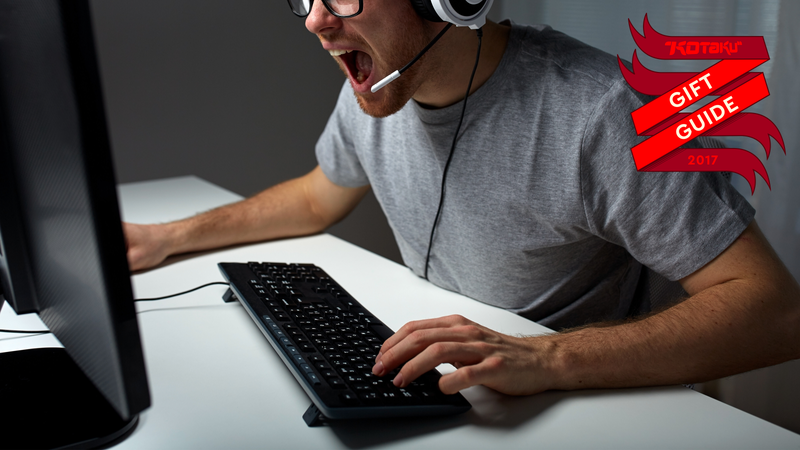 Whether some Discord pals are begging for an upgrade to their voice set-up or someone’s old creaky wrists are, like mine, popping like corn with every new solo queue game, here’s some ideas to gift that esports aficionado who already has the tools, but could use a few quality-of-life improvements. Most esports gift guides go for the classic keyboard and mouse. And while some clacky keys and a high DPI are great for gaming, the secret MVP is the mousepad. When I finally splurged on a new mouse, I was wondering why it didn’t feel quite as revolutionary as I’d hoped; because, it turns out, my raggedy cloth “mousepad” from college wasn’t providing a good surface for the laser. One trip to the store later, my mouse glides effortlessly on its new habitat. This pad is the one I use, but most mouse manufacturers will also have a line of pads that have great features like rubber grips to prevent slipping and a good frictionless surface to let the mouse soar through every sweeping arm motion. A headset might be your preference for gaming sessions, but if you know someone who wants a mic quality upgrade or maybe wants to start streaming their games, a good standalone desktop mic is handy to have. The Snowball has been a podcasting staple for a reason: it’s compact, portable, easy to use, and provides great audio in a variety of situations. It works on both PC and on consoles like the PlayStation 4, and lets you bust out some high-quality headphones while getting that little strand mic away from your face. Compete’s recurring physical therapy source Dr. Caitlin McGee had a few suggestions for foam rollers and other ergonomic ideas, but The Stick stuck out. A body massage roller for relieving pain, this is great for those who get a lot of soreness in wrists, neck, or really any area that could use some TLC after a long gaming session. 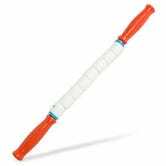 It’s a good idea to help your sore muscles out when they need it, and The Stick can help you care for those 200+ APM wrists. Words on winning, from one of Street Fighter’s legends. Though physical copies are harder to come by, the Kindle version is an easy download and takes you through Umehara’s career, with anecdotes and life lessons providing valuable insight into the mind of a pro gamer. Whether you want to learn about the mindset of a pro or you need something to turn to in times of trouble, Daigo’s book will have something to offer most anyone. Queue times can get pretty long, especially if you’re actually good at a game, so having something around to mess with while you wait for a match can help kill the wait. A Rubik’s cube is pretty straightforward, and keeps your wrists moving and limber while you resist the urge to smash it with a hammer. Other options include Sudoku puzzles, fidget spinners, or even some drumsticks, using your mousepad as a drumpad. Why not use all that bonus queue time to practice your paradiddles?